Two months have passed since the North Jakarta administration initiated an experiment to see if water hyacinth could be used to remove pollutants from the foul smelling Inlet 3 River in Sunter Agung. The water hyacinth was divided into two 50 by 11 meter parallelogram containers placed in two separate parts of the river. The operations head of the North Jakarta water management unit, Lambas Sigalingging, said that improvements could be observed. "[The river] was stinky but now [the smell] has gone. 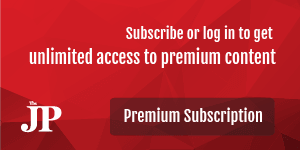 No one ever used to fish there, but now some people do so in between the water hyacinth planting areas, which indicates that the water is inhabitable for fish," he told The Jakarta Post on Thursday. 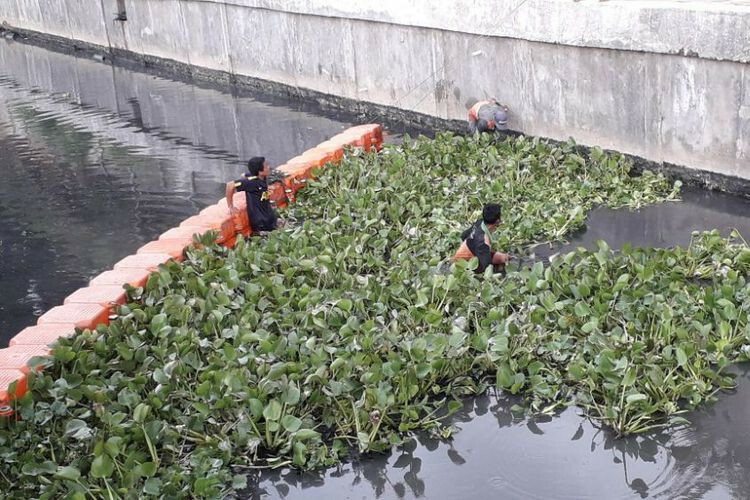 Kompas.com reported on Wednesday that the foul odor of the river in between the two water hyacinth planting areas was gone. The water had also become slightly clearer as it was now possible to see the riverbed from water level. Despite visual observations showing positive results, Lambas said he could not conclude whether the water hyacinth had improved the water quality because his team had yet to obtain analysis of the laboratory samples.